Welcome to the future of ice fishing with the Eskimo P1 Rocket Propane Auger. Lighter and faster, Eskimo has created an amazing new ice auger that combines their popular high-compression propane powered engine with a new all-metal high-speed transmission. What this means is faster revolutions for effortless drilling. The new Rocket Auger features a cast bottom resulting in smoother cutting and breakthrough. 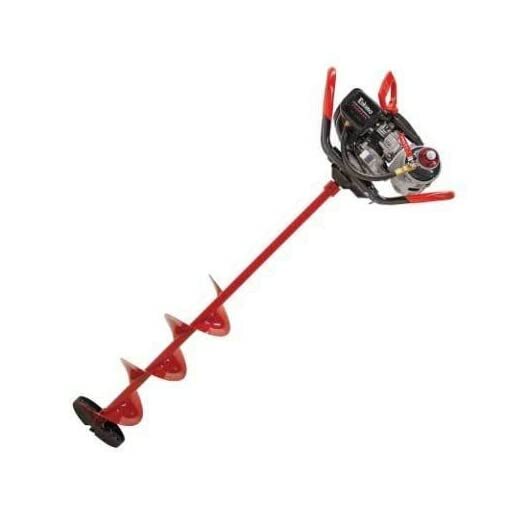 At only 26 lbs, the P1 is the lightest 8″ propane power auger on the market. Weight: 8″ – 26 lbs. / 10″ – 28 lbs.